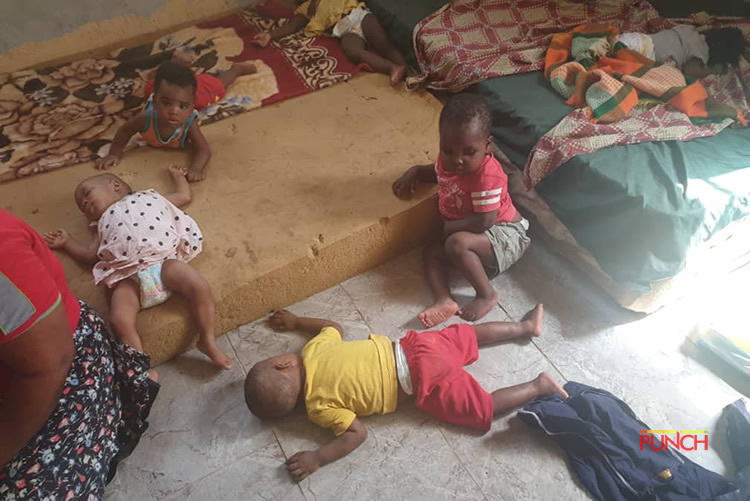 The demolition of a church housing an orphanage home in Kubwa, Abuja, has rendered 150 orphans homeless. The church, Divine Words of Jesus Christ which housed a school and the orphanage was demolished by the Department of Development Control officials of the Federal Capital Territory Administration (FCTA) despite an ongoing suit in court. PUNCH reports that the land on which the buildings were constructed had been a subject of litigation between General Overseer of the Church and proprietress of the orphanage, Bishop Victoria Ezemoka and her brother-in-law, Goddiful Ezegwo. Bishop Ezemoka, a widow, confirmed that litigation over ownership of the land was still ongoing in court since it was instituted in 2013. She disclosed that the orphans had been moved to her two-bedroom apartment while she searches for a bigger place. Counsel to Ezemoka, Titus Agundu, described the demolition as illegal and said he will seek damages against the FCTA. “I was in court when I received a call that the buildings were being demolished. This case is still before the court and had not been determined. We will take action against the FCDA and seek damages for the demolition of the five buildings; this is illegal and unacceptable,” Agundu stated. Lawyer to FCTA, Murtala Dahiru, express surprise, confirming that there was no court order to that effect. “I’m surprised to hear about the demolition, I am not aware of it because the case is still in court and had not been decided,’ Dahiru said. However, Director of the Development Control department, Muktar Galadima, said he had documents to justify the demolition.